HAWTHORNE — This month, “Where’s Waldo” isn’t just a challenging picture book. It’s a competition, and prizes are at stake. 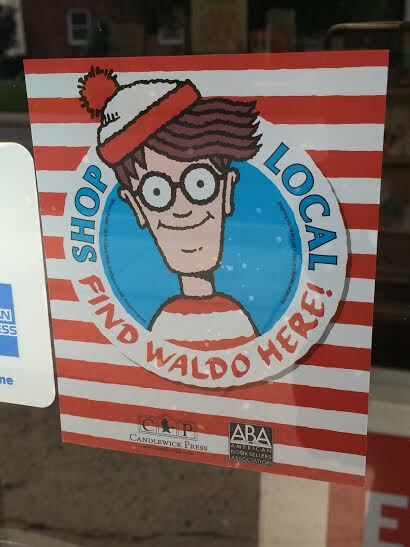 In celebration of the elusive character’s 25th birthday last September, Candlewick Press is teaming up with the American Booksellers Association and 250 independent bookstores across the country for the Where’s Waldo campaign, which encourages communities to support local businesses. 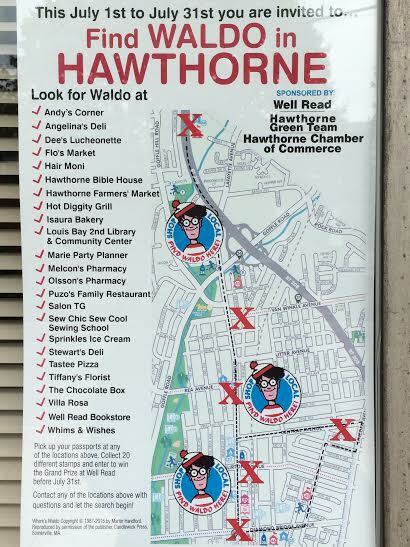 Hawthorne businesses are participating in a campaign to drum up support for local stores and send kids on a real-life game of Where’s Waldo. Throughout July, Waldo figurines will be hidden inside the businesses and seekers who find a figurine can get their “Waldo passport” stamped in the location they found it. Co-sponsored by the Hawthorne Chamber of Commerce, the Hawthorne Green Team and Well Read Books, the campaign culminates in a grand prize drawing at 6:30 p.m. on July 31. The first 125 seekers who find at least 10 figurines can bring their passports back to Well Read to collect an “I Found Waldo” button and a $1-off coupon. Those who find 20 or more figurines are entitled to the button and coupon, as well as an entry in the grand prize drawing. While most of the prizes are being kept secret until the grand prize drawing, one of the top prizes is a six-volume deluxe set of Waldo books. According to Skees, each participating business donated at least two prizes for the grand prize drawing, so at least 40 to 50 participants have the chance to win prizes. 24 local businesses are participating. Skees added that while she has noticed an increase in traffic through her bookstore since the campaign started on July 1, there has not been an increase in sales. The term ‘shop local’ encourages residents to purchase everything from food to clothes in local stores to support their communities. “Where’s Waldo” is the creation of English illustrator Martin Handford, whose books have been translated into 18 languages. There are more than 58 million Where’s Waldo books in print worldwide. *This story was originally published in The Record. Tags: books, bookstore, candlewick press, chamber of commerce, competition, English, fun, green team, hawthorne, july, new jersey, news, nj, North Jersey, reading, search, The Record, waldo, well read, where's waldo. Bookmark the permalink.